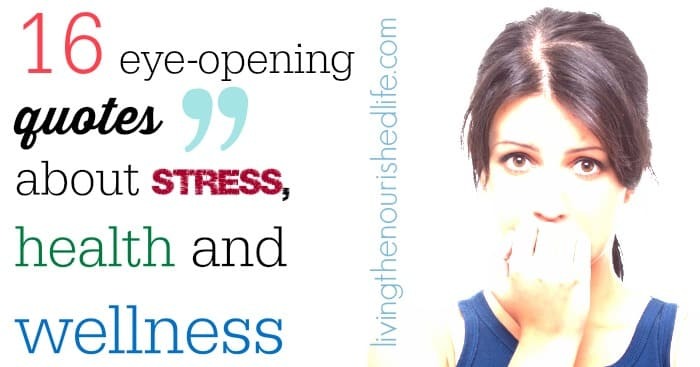 Stress… is it all in your head or something that comes from the outside? It’s both actually. How we think about life can certainly impact our level of emotional stress. But stress isn’t just emotional. Stress is anything that raises your stress hormones–which means not eating enough, nutrient deficiencies, lack of sleep, or even an injury can also be considered stress. But whatever kind of stress you’re under – mental or physical – the chances are it’s impacting your quality of life in a big way. I found some of my favorite quotes about stress to try and put together a picture of how stress affects our lives and how we can cope with it. The impact of stress on our health is well-documented. It’s something I talk about in my book The Nourished Metabolism, and is the topic of some of my favorite books like The Cortisol Connection and Why Zebras Don’t Get Ulcers. Stress sets off a cascade of hormones in your body that can affect the way you think, your energy levels, your sleep, your blood sugar levels… the list goes on and on. And I’m not the only one who thinks so. Worry and stress affects the circulation, the heart, the glands, the whole nervous system, and profoundly affects heart action. – Charles W. Mayo, M.D. Although I talk a lot about the hidden physical stressors in our lives, the truth is that emotional stress still has a huge impact on our health and well being. What are your favorite quotes about stress? What’s the best tip you can offer to help someone cope with stress? These are great quotes about stress. Stress can truly be so harmful to our health. And it’s so easy to look past it and think there must be something else, something outside that needs to change. When, in all reality, it can be as simple as changing our thoughts about our day, as stated above. I got sick for a while- tummy issues that doctors couldn’t figure out. I took some proactive steps to reduce my stress and everything changed. 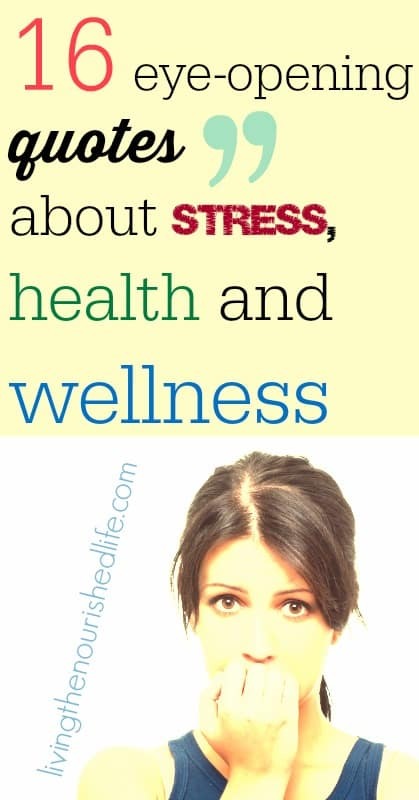 Managing my stress has made a huge difference in my life and in my health! Looking for a quote to help my client, love this group of quotes, thank you! I just wish it was easier to reduce stress. Like the second quote says, chronic unrelenting stress is basically a fact of life in modern life. It doesn’t seem like it’s really possible to avoid it. I think avoiding what we can, and then learning to cope with what we can’t change is probably the healthiest path.